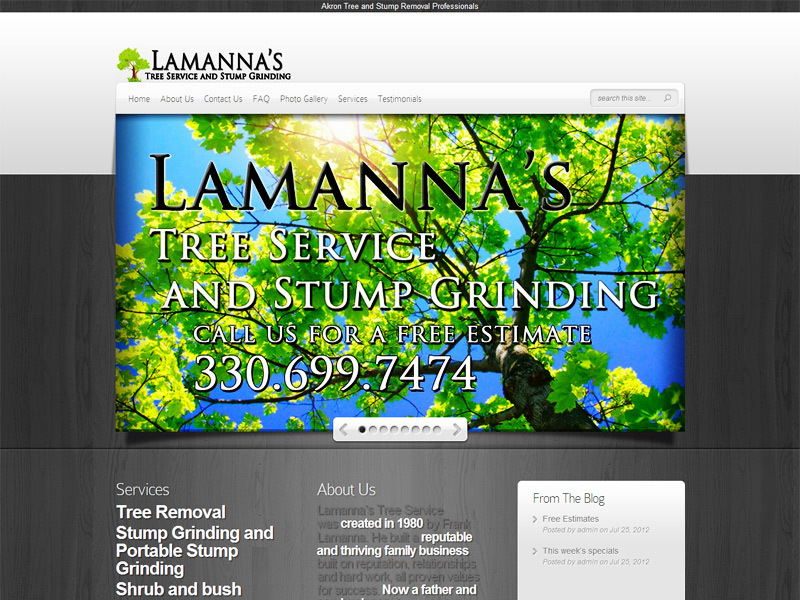 Created for Frank and Tony Lamanna of Lamanna’s Tree Service. Used a rotating gallery for the home page to list all of the major services up front. With the contact information posted right on the front door, there is no need to look any further. Now that’s usability! Now a father and son business, Lamanna’s tree service still resides in the city of Green where it was born and serves the entire tri-county area in the state of Ohio. Feel free to call the office at 330.699.7474. Thank you Lamanna’s!